8.20.2012. Porto, Portugal. 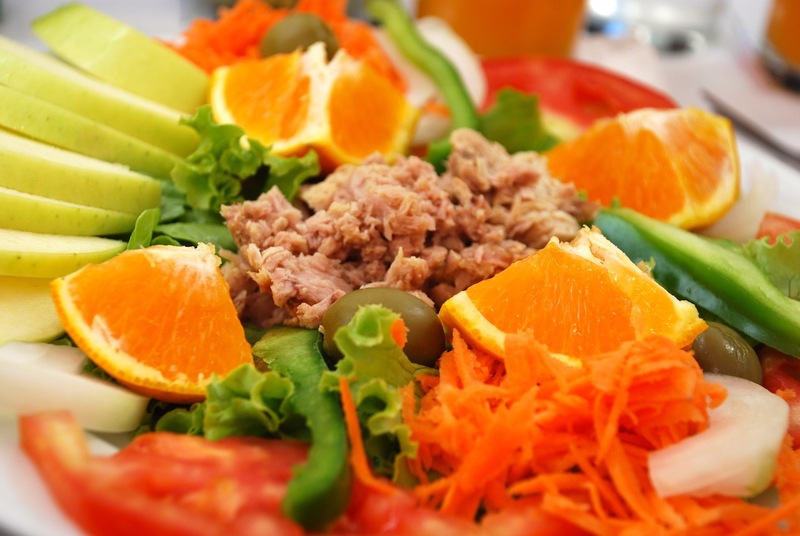 Salad with tuna, oranges, apples, shredded carrots, onions, tomatoes, olives, and green peppers. My first meal in Portugal set the bar quite high. I topped the meal off with the best fresh-squeezed orange juice I have ever had. Portugal is all about the produce.